An album of classy, hard hitting (at times violent but in the end very entertaining) metal songs. 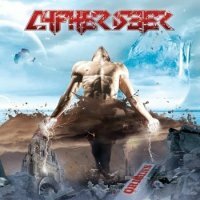 Cypherseer is probably one of the heaviest acts I have ever reviewed for Fireworks and Rocktopia (please don’t let that put you off). Bands like Scar Symmetry, Soilwork and a heavy (Heavy) Evergrey came to mind whilst I played this album, and I have to tell you that there are a few growls here and there on the CD, which may be a little too much for the pink and fluffy AOR brigade (of which I’m a card carrying member) to take. The band’s heaviness should not be a problem as they temper this with lashings of melody as well. So I can tell you that as aggressive as the music on this album is, the songs, production and sheer brutality that the musicians involved on ‘Origins’ deliver, I have really become a fan of this band. This album is probably not for the greater proportion of the readers of this magazine & web site, though hopefully I’m wrong about this. So I would like to say that if every once in a while you like to sit back and give the louder, heavier side of rock music a go or maybe like to give something a try something that is way out of your comfort zone, then the songs and power that exudes from each and every pore of this album could be just what your after. Cypherseer have - with ‘Origins’ - made an album of classy, hard hitting (at times violent but in the end very entertaining) metal songs and also one that I found to my great surprise to be remarkably good.